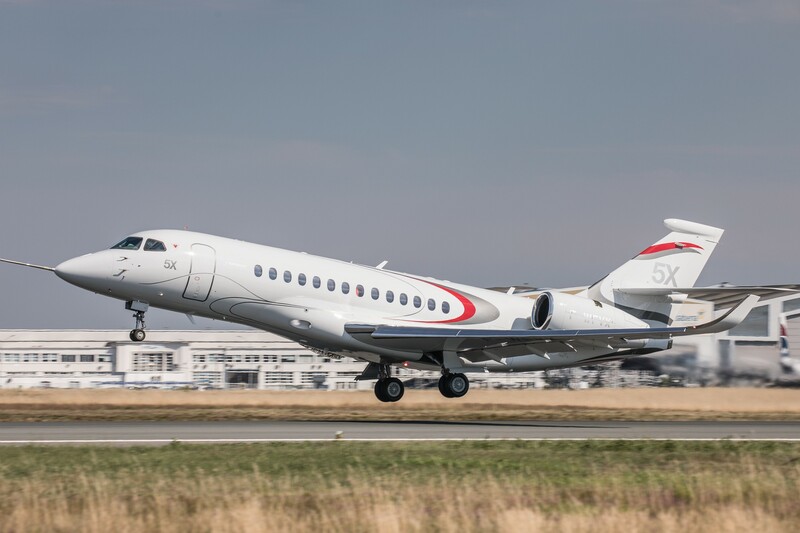 Dassault Aviation’s all-new Falcon 5X has made its first flight, allowing the ultra wide body twinjet to embark on a limited number of preliminary flight tests before the commencement of the full fledged flight test campaign, scheduled to begin next year. 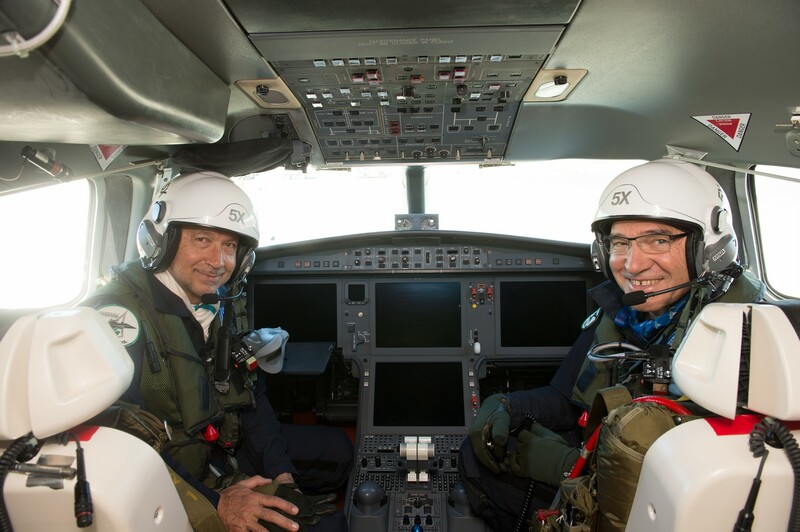 The aircraft took off today from Dassault’s Bordeaux-Mérignac final assembly facility with test pilots Philippe Deleume and Philippe Rebourg at the controls. The two-hour flight was performed with a preliminary version of the Safran Silvercrest engines, because design issues have delayed the power plant development four years beyond the initial timetable. This advanced flight test campaign will permit to collect a certain amount of airframe and systems data that could not be generated during a ground test campaign undertaken earlier this spring. The ground campaign included ground runs as well as low and high speed taxi tests. The purpose of the present flight test campaign, which will last only a few weeks, is to help streamline the development process. 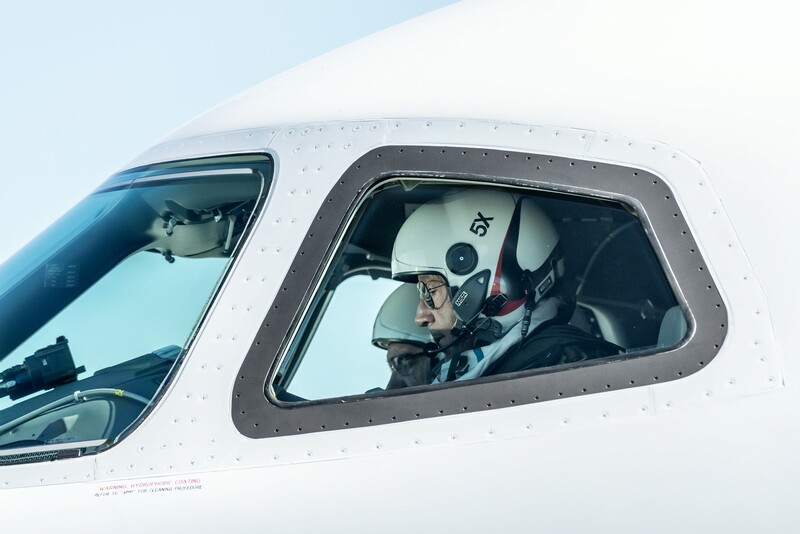 Flight validation and certification tests will be performed next year, once Safran delivers certifiable engines meeting Dassault’s specifications. 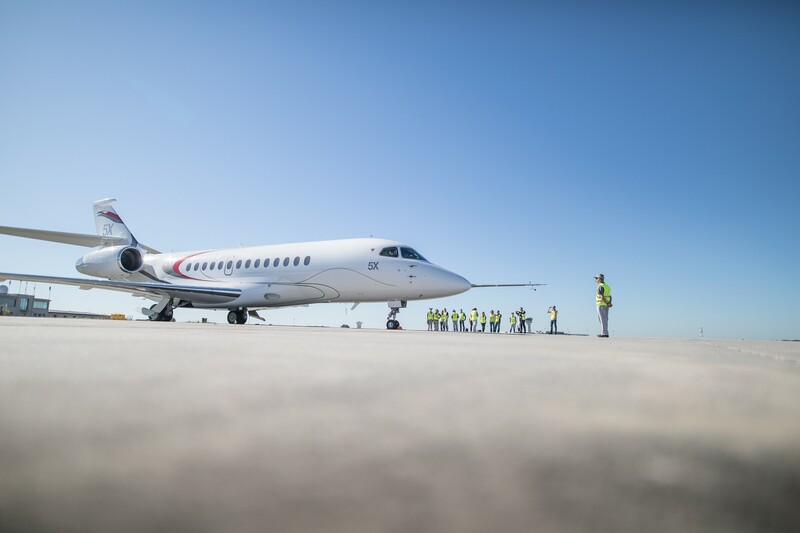 “We’re committed to limiting the consequences of the four year engine development delay as much as possible and the short preliminary flight test campaign is part of this effort,” said Eric Trappier, Dassault Aviation Chairman & CEO. 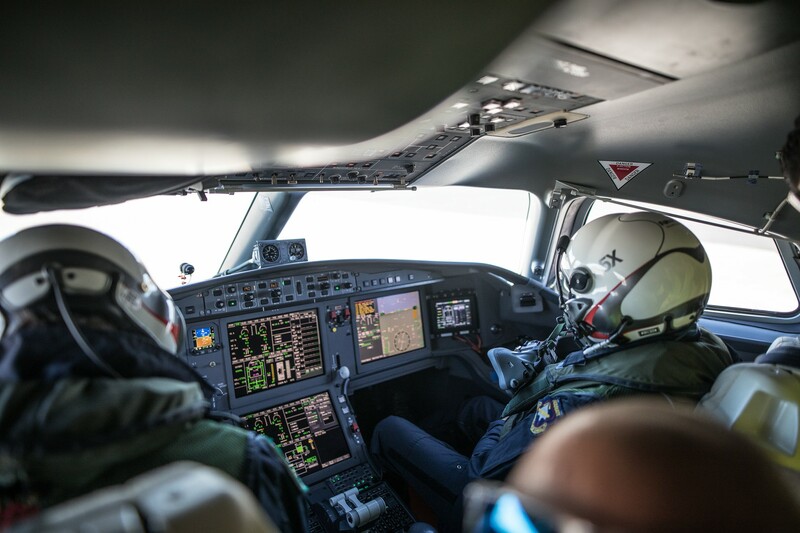 “We will closely monitor the validation tests on the modified Silvercrest, which are scheduled by Safran in the few coming months, as their results will be critical for meeting the 5X entry into service in 2020. 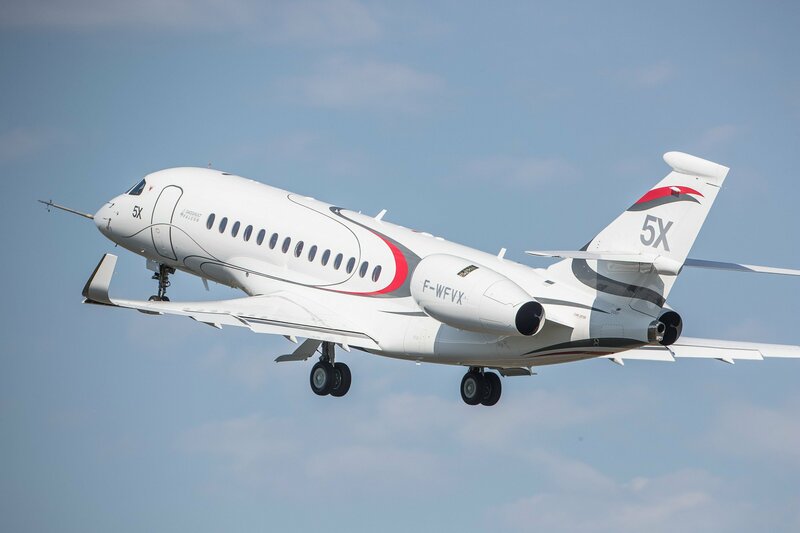 The cabin of the Falcon 5X will be the tallest and widest in the industry. 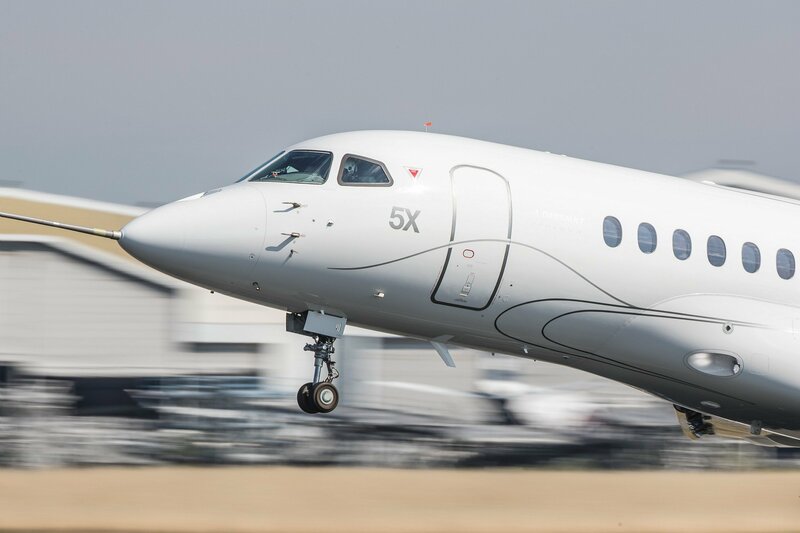 Yet the aircraft will land at a speed down in the turboprop range and have a fuel burn significantly lower than that of any other business jet in its class.